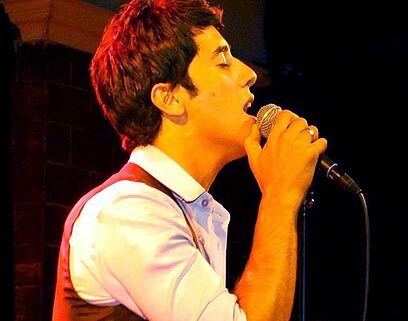 Harel Skaat has been chosen to represent Israel in the 2010 Eurovision singing competition, which is scheduled to take place in Norway in May. Skaat was chosen by a special committee of the Broadcasting Authority on Tuesday. According to reports, Maya Buskila was also in the running before Skaat, who won second place in the second season of Israel's 'A Star is Born' competition, was officially selected. First place in Eurovision 2009 was the Norwegian Alexander Rybak, who won his country the honor of hosting the 55th international competition. It has been scheduled for the 25-29 of May at the Telenor Arena outside of Oslo. The song Skaat will sing is to be chosen by viewers of a special Channel 2 broadcast showcasing a number of options, as was done with Eurovision of 2009. Skaat's manager told Ynet, "We are very happy with the Broadcastng Authority's decision, and excited to represent Israel in the 2010 Eurovision competition. Right now we are embarking on a search for songs and beginning to work on the pre-Eurovision broadcast. We will do everything to bring honor to Israel and Europe." Channel 2 stated in response to the choice that it was "very glad to cooperate with Channel 1 for the benefit of an entertaining pre-Eurovision broadcast for the election of a song to represent Israel in the competition". See all talkbacks "Harel Skaat to represent Israel in Eurovision"